I was in a meeting with my Principal and Reading specialist discussing students that need better access to text when the teacher does not have the availability to human read for them. 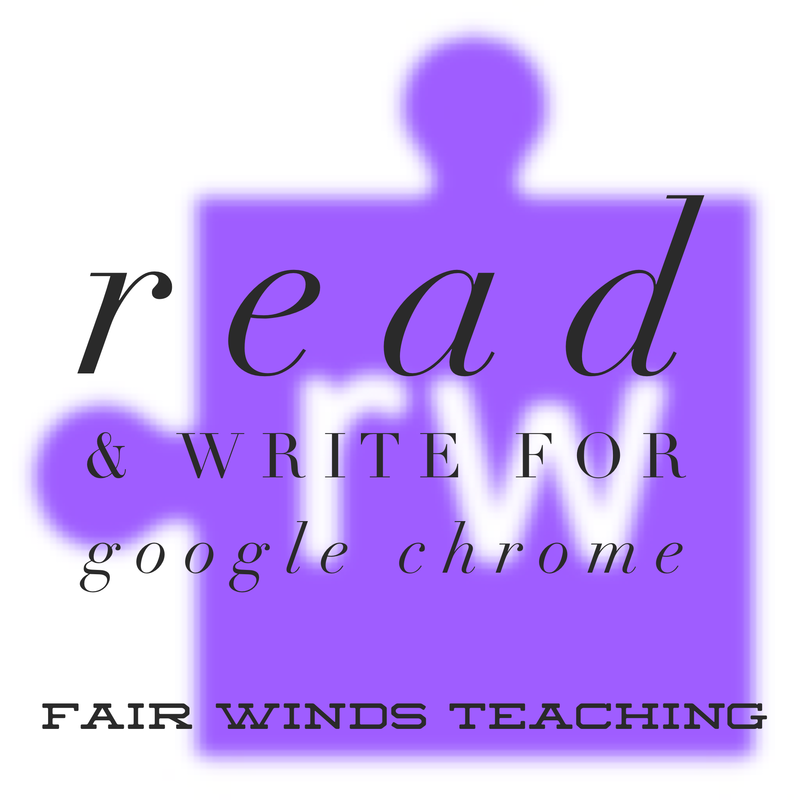 They told me about a tool called Read & Write for Google Chrome. It is an extension you can download on your students Google Chrome devices that reads texts for them. I was instantly interested in checkin this out. I downloaded the extension and start playing. Thank you for suggesting the tech tool! Instantly I learned that I LOVED it! What a great tool for students to use if they aren’t able to access or fully understand a text. I created a You Tube video on how to download and use the program with your students. The extension is a tool for text to speech help for any website or file the student can access on Google Chrome. I used the tool with a NewsELA article so that the student would be able to listen to the text read to them while I was pulling small groups. You have the ability to change the voice, speed and what sections the program is reading for you. The student is in control of what and when text is read to them. This is perfect to help any student that needs that extra help in reading and understanding. Please let me know in the comments below if you also enjoy using this tool and in what ways it has helped your classroom. Thanks for reading!